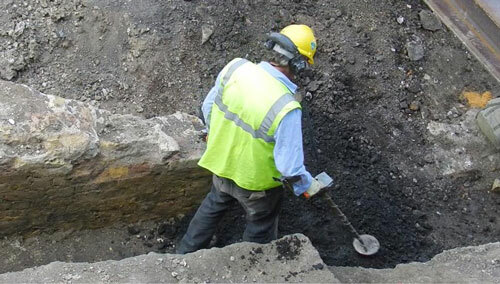 Our new blog, the Walbrook Discovery Programme, gives you the opportunity to explore and engage with MOLA's latest archaeological findings along the banks of the Walbrook, the City of London's underground river. For photos and videos from our sites, interviews with our team of archaeologists and specialists and more, go here. Plans to dismantle the reconstructed Roman Temple of Mithras, ahead of a new reconstruction, began in 2011.